BEIJING - For the first time in recent years, Chinese Premier Li Keqiangs annual Government Work Report did not mention Made in China 2025, the countrys ambitious plan to achieve high-tech dominance, and that has analysts asking whether Beijing is going to completely overhaul the plan or keep it going quietly behind the scenes. The plan is part of Chinas broader industrial policy outlined in the 13th Five-Year plan, which lays out government goals from 2016-2020. It raised concerns, however, because of Chinas use of forced technology transfers and specific targets to capture market share by 2025. 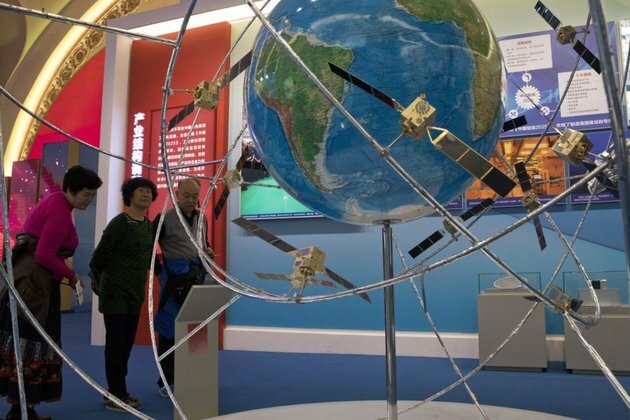 New laws and policy changes that the government is bringing on during the ongoing sessions of Chinas legislature, or National Peoples Congress (NPC), would seriously affect its ability to acquire foreign technology. China will suffer in the short run but in the medium run they seem to be fine, said Lourdes Casanova, director at Cornells Emerging Markets Institute. The original 2025 plan was too nationalistic and too top down. It was wasteful, Mats Harborn, president of the European Union Chamber of Commerce in China, told VOA. There is a shift or maturity in understanding. There is an understanding that China cannot do all things on its own. It has to use international value chains and integrate as much as possible, Harborn said. It [the strategy] should not have been done that way anyway. I was against it from the start, I did not agree very much with it, Lou Jiwei, Chinas finance minister between 2013 and 2016, said on the sidelines of the legislative meeting in Beijing. Putting less emphasis on Made in China 2025 reflects a more rational approach by the government, to reduce unnecessary obstacles, noises and reaction, to keep moving forward in a positive direction, said Tang Nong, a NPC delegate from Guangxi. The government is moving forward with the 13th Five-Year plan. What is Made in China 2025, is it a plan or a broad outline? asked Sun Xianzhong, an NPC delegate and professor of international law at the Chinese Academy of Social Sciences. The government remains committed to moving China's economy up the value chain and will continue to use a variety of active industrial policies to achieve this goal, said Duncan Innes-Ker, regional director for Asia at The Economist Intelligence Unit. This is a wakeup call. The new focus will be on integrating the best technologies at the best price and creating the best final product or service, he said. For a state-owned company, profits going down in favor of revenues or jobs, so whats the problem? They are fine, said Casanova adding, Profits are less or not of primary consideration.